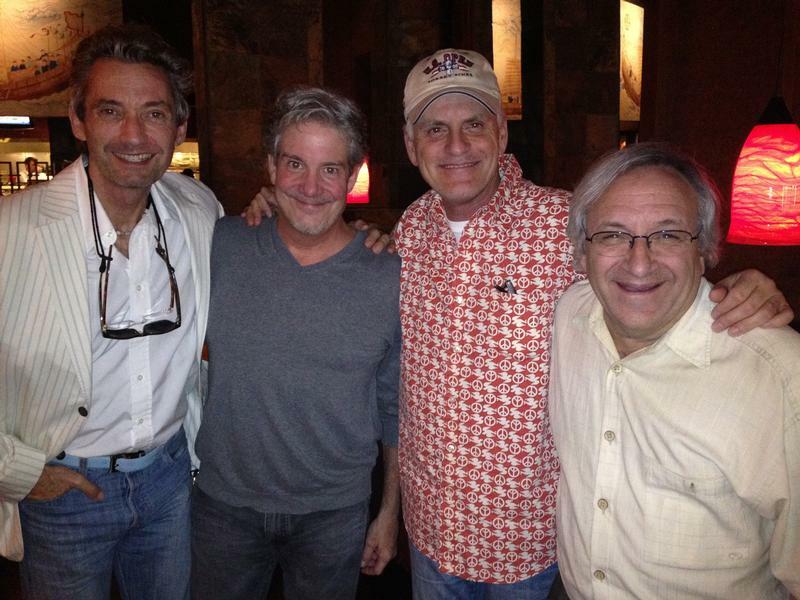 Rob Paulsen's podcast, Talkin Toons, will be recording a laundry list of TMNT special guests. The show will be December 9 at 8pm at the Hollywood Improv. 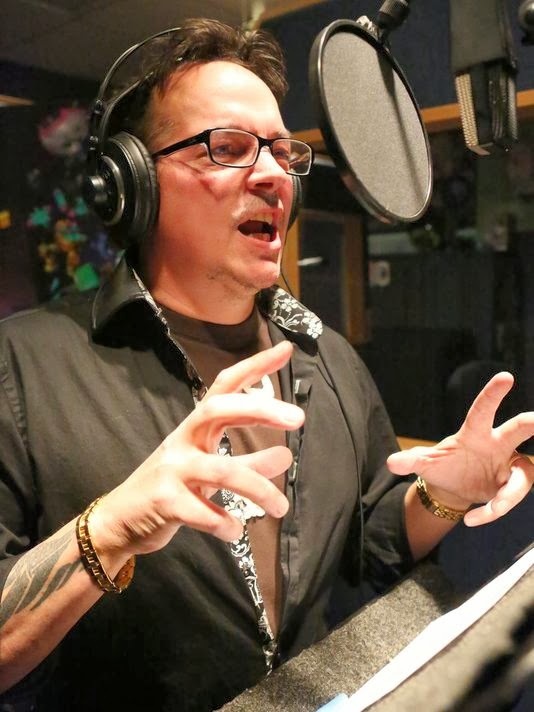 Headlining the show is TMNT co-creator Kevin Eastman. Also joining the show are Townsend Coleman, Cam Clarke, Barry Gordon, Pat Fraley, Renae Jacobs, Judith Hoag, Ciro Nieli, Brandon Auman, and more! In addition to recording a live podcast, the event will also be raising money and toys for Toys for Tots. Tickets are a steal at $15/each, and if you bring in two toys to donate to Toys for Tots you'll be able to get autographs from everyone in attendance. Get tickets now before they sell out! And watch Rob's Facebook page for daily updates to the lineup. USA Today reports that none other than TMNT co-creator Kevin Eastman will be heard as the voice of Ice Cream Kitty, who debuts in this Sunday's new episode, "Of Rats and Men." 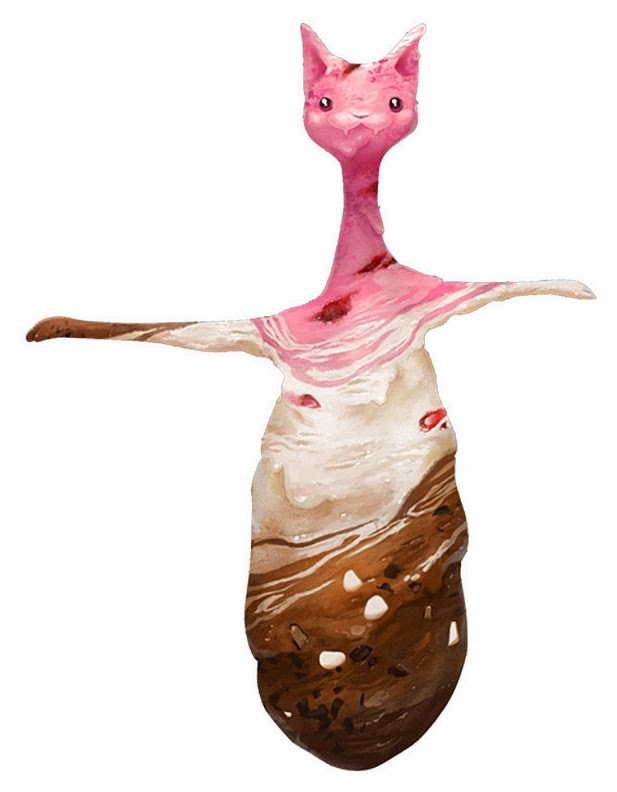 Ice Cream Kitty was first revealed at Comic-Con last July. Also noted in the USA Today article is that Friday, March 14, will see the long-awaited episode that unites the current TMNT voice cast with the voice cast of the original cartoon. Townsend Coleman (Michaelangelo), Cam Clarke (Leonardo), Barry Gordon (Donatello), and Rob Paulsen (Raphael) will be reprising their roles in cameos in this special 1-hour episode. Of course, Rob Paulsen will be pulling double-duty as Donatello in the current cast. 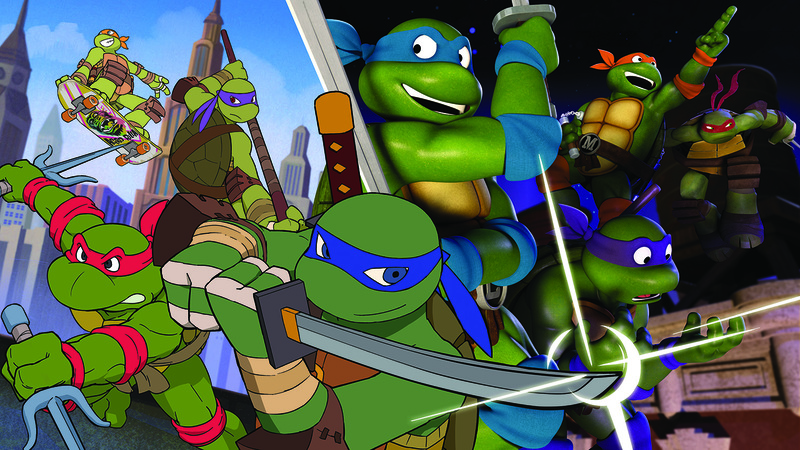 He is joined by Greg Cipes (Michelangelo), Sean Astin (Raphael), and Jason Biggs (Leonardo). This special episode will air at the special time of 7pm Eastern. In an exclusive interview with USA Today, Nickelodeon Executive Producer Ciro Nieli has dropped some hints about what TMNT fans can expect with the remaining part of this season, as well as next season. The big news coming from this interview is that next season there will be a one-hour special unites the Turtles voice actors from the original cartoon with their modern counterparts. It'll be a story point, too, that brings classic and current Turtles together. "We all have a nostalgia for these characters in all their incarnations, and any time we can serve it up, we take the chance," Nieli says. "The trick is finding a way to do it where it doesn't feel wedged in, where you don't even see it coming. Townsend Coleman (Michaelangelo) hinted at the reunion earlier this week on Facebook when he changed his cover photo to a picture of the outside of Nickelodeon Studios in Burbank, CA. The original TMNT voice actors are Coleman, Cam Clarke (Leonardo), Barry Gordon (Donatello), and Rob Paulsen (Raphael). Paulsen, of course, would be pulling double duty as he the current Donatello. 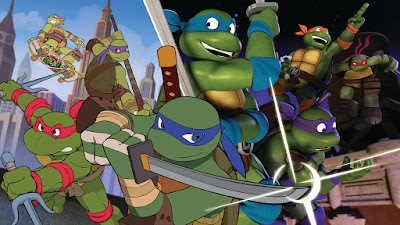 The rest of the current cast is Greg Cipes (Michelangelo), Jason Biggs (Leonardo), and Sean Astin (Raphael). According to the interview, one other blast from the past fans can expect is the return of Mutagen Man from the original cartoon and toy line. New episodes of Nickelodeon's Teenage Mutant Ninja Turtles begin again this Friday, April 5, with Baxter's Gambit. 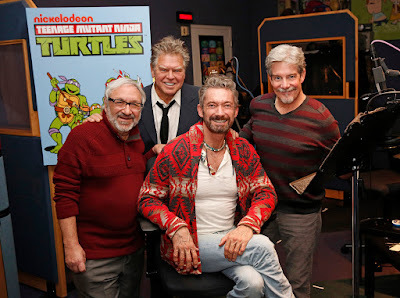 The audio recording of last week's original TMNT cartoon voice cast reunion extravaganza is now available to download as an episode of Rob Paulsen's Talkin' Toons Podcast. 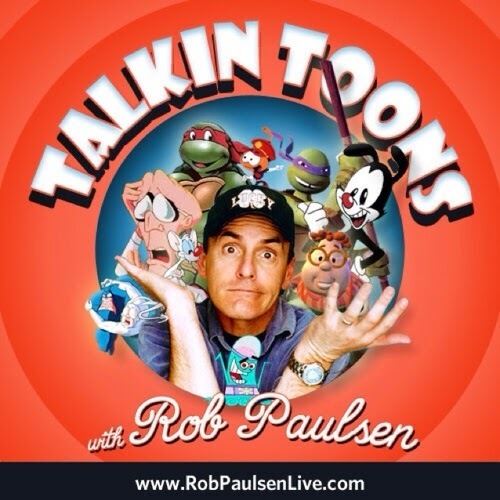 A live recording of Rob Paulsen's Talkin' Toons podcast on August 24 will see the reunion of almost all of the lead voice actors from the original TMNT cartoon series. Currently scheduled to appear are Rob Paulsen (Raphael - duh), Barry Gordon (Donatello), Townsend Coleman (Michaelangelo), Cam Clarke (Leonardo), Peter Renaday (Splinter), and Renae Jacobs (April O'Neil). The show will be at the Jon Lovitz Comedy Club in Los Angeles at 8pm, August 24. Buy tickets now! After a rainy-day visit to Circuit City's store closing clearance sale, I now have the much-anticipated ability to capture video from my VHS collection onto my computer. With this useful new ability I am launching the Ninja Pizza YouTube Channel. The inaugural video for this new channel is called "Operation Blue Line" (and had I scanned the video cover earlier in the night than I did, it wouldn't have rabbit teeth marks in it). "Operation Blue Line" is a promotional video that was produced to advertise a new light rail system that runs between Long Beach and Los Angeles. 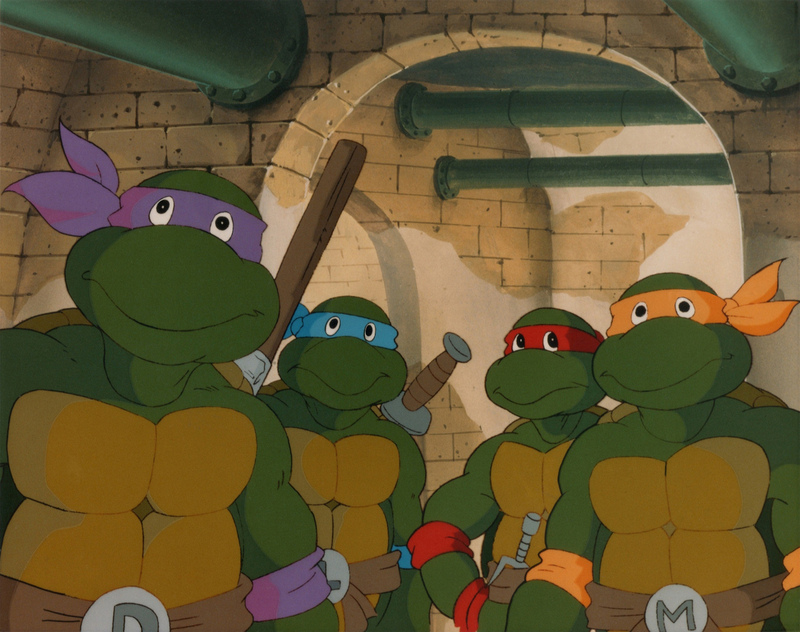 As incredibly cheesy as this 10-minute video is, it surprisingly holds some weight as all four Turtle voice actors from the original cartoon--Townsend Coleman, Barry Gordon, Rob Paulsen, and Cam Clarke--are featured in their respective roles. So enjoy, and watch this space, 'cause there's lots more to come! UPDATE! Edward Langer, who worked in the SCRTD marketing department and helped in the production of this video, has written in with some additional information. I was the original project manager on this video. The SCRTD marketing dept. under Tony Fortuno and Alice Wiggins wanted to create a video to be distributed free through a local supermarket chain to all residents along the route. Additional copies were sent to large businesses, too. I assembled my team and we each contacted different companies to see if they would provide funding and some kind of theme or character for the video. One team member, Sherry, hit pay dirt at one of the local TV stations and got permission to use the Turtles. Since Sherry had made the contact, she took over the project. I was reassigned to the ride share program where I made use of the video to promote public transit. That is the USC Marching Band at the end of the video. The USC band has been most generous in allowing the SCRTD to use them in their promotion of public transit. Also, if you watch carefully, you will see Sherry in the film as a couple having a picnic. We had borrowed the turtle costumes, but they had to have them back for a promotion. Sherry had picked them up and had to get them dry cleaned over a weekend. Not something easy to accomplish. I forget how she did it, but they were clean on Monday. All [of the] main actors were professionals: April, Gridlock, and the Turtles. Everyone else is an unpaid volunteer from the SCRTD. The little girl near the end of the film was some kind of spokesperson for the SCRTD, but I forget why. I think she was a model or actress who gave us support. I believe I had worked with her in a promotion in Long Beach, but that was a long time ago. As I was not the project manager of this program my name is way back in the credits. Basically, all employees of the marketing department are in the credits. The story is kind of dumb, but it worked. Many of my ride share companies played it in their cafeterias to alert their employees. Ridership did take off.